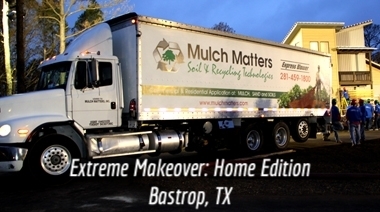 Mulch Matters is Houston’s leading expert in organic, sustainable ground cover solutions, including bulk ground cover, custom blended soils, composts and mulch, and natural fertilizers. At our family-owned processing facility, we monitor quality at all phases, from raw material acquisition to delivery. With our unique Express Blower delivery system, we can quickly and expertly bring natural mulch for residential or commercial applications without impacting or harming the existing landscaping or playground. Mulch Matters is committed to environmental sustainability. Our products are created from clean, locally sourced organic materials that have been carefully inspected to ensure they’re free of contaminants, disease, or infestations. There is no better ground cover than Mulch Matters products.